You've been waiting for it - and now it's finally here. 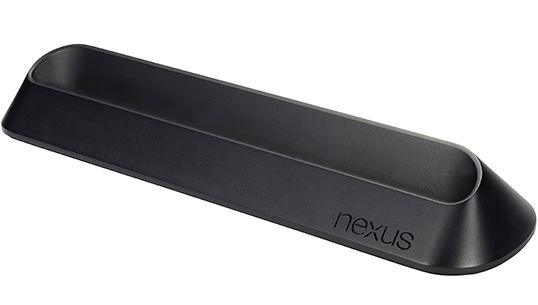 The official Nexus 7 Pogo pin dock is on the Play Store, shipping in 1-2 weeks, for the low, low price of $30 (25GBP in the UK, 30 Euros elsewhere). The dock has a 3.5mm audio-out jack, is powered via microUSB, and charges using the Nexus 7's Pogo pins. This price is $10 lower than 3rd party retailers have been selling it for, so pick it up while it's still in stock! You can also check out our review of the dock, here.